Now that all Accords are so well-equipped, we recommend going simple with affordable LX models, especially since the now include things like Bluetooth, USB connectivity, and a rearview camera system. 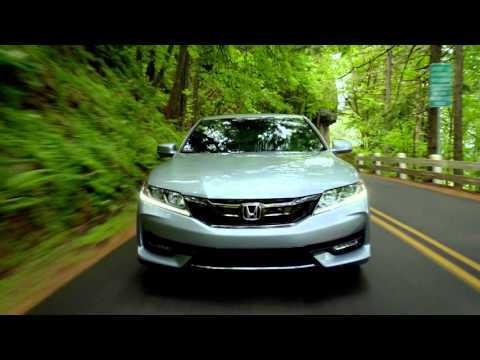 The 2016 Honda Accord rewards buyers for making a sensible choice with its fun-to-drive nature. The Honda Accord has helped define in recent years one of America's favorite segments: the mid-size family sedan. Now, with the proliferation of SUVs on the market, the family sedan category may represent some of the best value propositions on the new car market—automakers are still competitive and the sedans are more feature-rich than ever. 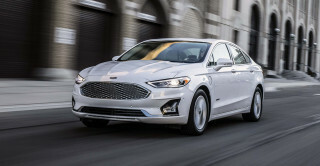 It's an increasingly competitive space with strong rivals such as the stylish Ford Fusion, the value-laden Hyundai Sonata, and the reinvented Chrysler 200. But the Accord thrives to this day, largely because it appeals to both sides of the brain, with plenty of practicality and a fun-to-drive nature, either as a two-door Coupe or as a four-door sedan. The Honda Accord Sedan is offered in LX, Sport, EX, EX-L, and Touring trims, while the Coupe available in LX-S, EX, EX-L, and Touring models. It's currently a few years into its ninth generation, and carries over into 2016 with a mild refresh that's most notable for a bold new grille design and redesigned taillights. Sedans also get a re-contoured aluminum hood. The Accord's design has enough flair and sophistication to stay relevant in a fashion-conscious market, but remains elegantly upright in the tradition of past generations. Honda isn't willing to sacrifice the Accord's spacious, comfortable goodness for an extra-swoopy roofline. The styling won't turn heads, but it's handsome, fresh, and recognizable as a Honda. Interior design creates a sense of airiness with a low instrument panel and a layout that's pushed out to the corners. Important controls are well-placed, though, quite high within it. 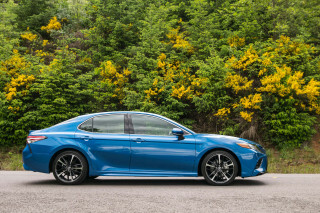 With Coupes, you give up some practicality for a performance look; they're mostly the same as sedans from the front seats forward, but their completely different, wedgier tail and side sheet metal adds up to a more dynamic stance. Powertrains are both stronger and more efficient than they were just a couple of years ago. 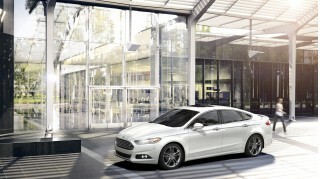 The base inline-4 features direct injection technology and makes 185 horsepower (or 189 hp in Sport models). 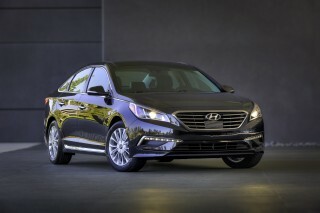 It can be paired with a 6-speed manual or continuously variable transmission (CVT). Some drivers may think this CVT, with its superbly linear feel, is a regular automatic transmission. Unusually for the mid-size segment, the Accord still offers a V-6 engine across the lineup. It's coupled to a a 6-speed automatic transmission (or a 6-speed manual in Coupes). Honda dropped its once-heralded double-wishbone setup in the Accord last year, instead opting for more tunable (and cheaper) MacPherson struts that it claims improve ride and handling while cutting cabin noise and harshness. So far, we can't say that's off the mark; the Accord drives with much of the verve of previous editions, and the new electric power steering is particularly good. The 2016 Honda Accord makes clever use of interior space with a driving position that's nice and upright, good legroom in the back, and easy entry and exit. There's plenty of window space for excellent outward vision. A new 60/40-split folding seat in all sedans except the LX is an improvement on the previous seat back that folded forward in one clunky piece. Among all these models, we could do with a less confusing control set—especially the dual-screen infotainment system you get in some trims. Coupe models are of course a little tighter in back, with a slightly stiffer ride; but they pack all the goodness of the sedans into a vehicle with a far sportier roofline. A significant change for 2016 is the availability of Honda Sensing, a suite of driver assists, throughout the Accord lineup. It's standard on Touring models. There's also a cool LaneWatch blind-spot monitor that provides a wide view of the passenger side of the vehicle on the touchscreen the moment you flick the turn signal. It's one of the coolest new features to debut in recent years. Honda in the past hasn't had much of a reputation for cramming value and convenience features into its vehicles. But that's all been turning around lately. The base Accord LX model includes dual-zone automatic climate control, 16-inch alloys, Bluetooth connectivity, a rearview camera system, and an 8.0-inch i-MID display with Pandora audio streaming and text-message capability. V-6 models get some nicer cabin appointments, and EX-L models have a 360-watt system with Aha internet radio streaming. Both engines use regular unleaded gasoline. EPA ratings with the four-cylinder and CVT are 27 mpg city, 37 highway, 31 combined; with the V-6 you'll get up to 21/34/26 mpg. The 2016 Honda Accord maximizes interior space while presenting a classy, well-proportioned exterior. 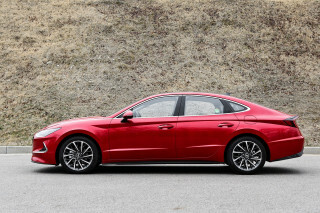 Honda's redesign for its ninth-generation Accord in 2013 struck a careful compromise between the upright elegance that loyal buyers expect and the high style of competitors like the Nissan Altima, Ford Fusion, and Mazda 6. 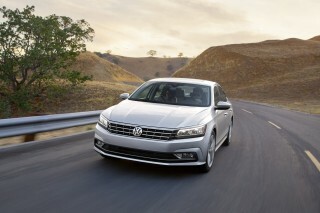 The result is a family sedan with a little more practicality than the segment's most swoopy designs. But it's not at all slab-sided. Instead, there's some expressive lift—giving the car more of a wedge-like look even if the greenhouse is mostly level—and creasing that flows around and into the contours of the taillights. Coupes take this wedge-like look a step further, with their completely different tail and side sheet metal adding up to a more dynamic stance. A fresh grille design, a re-contoured aluminum hood, and LED taillights are the most notable element of a mild refresh for 2016 sedans; coupes likewise get a new look for their front and rear ends with reworked designs for the grille, headlights, and taillights. 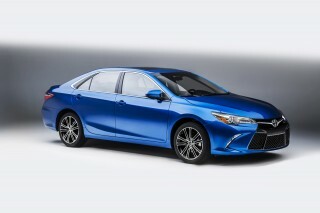 Top trim levels now ride on 19-inch wheels. If it still feels as if Honda has designed this Accord from the inside out, though, there's a good reason: The automaker insists that's how it was done. This approach results in a very smart interior. Honda aims to make it luxurious and modern, with a rather low instrument panel—pushed as far forward, and out at the corners, to maximize space—and important controls placed quite high. While trims and materials do get a more premium look as you rise up the ladder to the top Touring models, both EX-L and Touring trims get a touchscreen audio system that introduces the need for two separate screens and we think ends up adding clutter and complexity to the interior look. Coupes are mostly the same as sedans from the front seats forward. There's something fundamentally Accord-like in how everything fits together. We'd venture to say that even with the badging removed, many who don’t even know cars would be likely to call it out as an Accord. The Accord family is as confident as ever with crisp handling, and responsive yet fuel-stingy powertrains. Unlike many sedans in the segment, Honda offers its Accord with two different engine options and two transmissions choices, depending on coupe or sedan flavor. 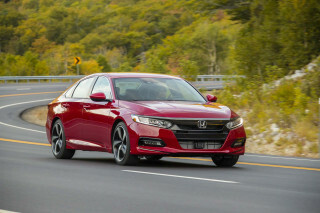 While it's expected soon that Honda will offer a smaller-displacement, turbocharged four-cylinder engine in its Accord, buyers today are still treated to a smooth V-6 option that borders on overpowering. The base direct-injected 2.4-liter inline-4 makes 185 horsepower (189 hp in the Accord Sport) and mates with a 6-speed manual or continuously variable transmission (CVT). Unlike other CVTs on the market, this one does well with the 4-cylinder engine, working with its thick mid-rev torque curve, avoiding the rubber-band-like responsiveness and droning soundtrack, and even potentially fooling some drivers into thinking it's an automatic transmission. With its so-called G-Design shift logic, revs rise quickly, avoiding the standing-start flat spot that some such transmissions have, then it creates the feeling that it's locking onto "gears" along the way. The manual transmission offered in base Accord sedans is available in other models, and isn't an afterthought. We like this transmission's precision, its neat clutch takeup, and the responsive, rev-happy feel of the combination—all while it feels more refined than most other mid-sizers. Honda has kept the V-6 model around, at a time when rival models have gone to smaller turbocharged engines in their upmarket versions. But it makes sense here. The V-6 is a strong, smooth engine with much more refinement than most of those turbo fours. The 278-hp V-6 is paired with a 6-speed automatic transmission; a 6-speed manual is available in Coupes. Full i-VTEC and Variable Cylinder Management aid efficiency, and active noise cancellation helps keep the atmosphere quiet and smooth inside the cabin. The V-6 models are among the best highway-commuter and road-trip cars ever, but it's worth noting that the manual gearbox in the V-6 Coupe has a rather heavy clutch pedal that might prove fatiguing when driving in heavy traffic. Neither engine requires premium gasoline—regular unleaded is recommended for both. Electric power steering hasn't worked out well in some models, but it’s done right here. Thanks to its mostly linear weighting, good sense of center, and some feedback from the road surface, this makes it one of the more confidence-inspiring setups for those who like to drive. One of the more controversial aspects of last year's redesign is that Honda dropped its once-heralded double-wishbone setup, instead opting for more tunable (and cheaper) MacPherson struts that it claims improve ride and handling while also cutting cabin noise and harshness. We can't say there's any big loss, honestly, as with the great steering and good body control, this one drives much like previous generations. 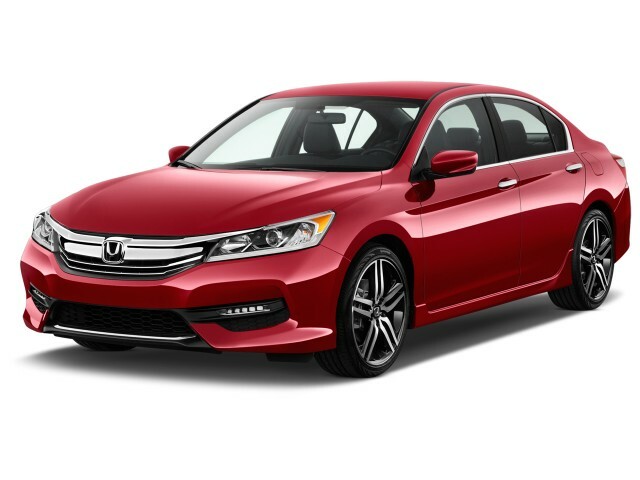 The 2016 Honda Accord is an excellent value for mid-size sedan shoppers who want a premium ambiance. The Accord's size places it in the middle of its mid-size segment. The current generation is actually shorter than the last, while boasting smarter interior packaging. You'll find excellent back-seat space and a roomy trunk across the model line, as well as some of the best cabin refinement in any sedan of the Accord's size. We think the Accord's interior is better than that you'd find in luxury-brand sedans with much higher price tags. The Accord's cabin also ranks as one of the quietest in the class. All Accord models include both Active Noise Control and Active Sound Control, both helping cancel out road noise. Keep in mind that models with the larger 18-inch and 19-inch wheels—and V-6 models in general—tend to have a bit less composure on bumpy roads than base models. A low beltline works with thin front and rear pillars to create a sense of airy spaciousness inside the cabin. The driving position is nice and upright, and you won't need to sacrifice some front-seat legroom if you want to fit adults in the back seat. Trunk space is not only larger (15.8 cubic feet) but the cargo floor is now flat. Buyers will appreciate 60/40-split folding seats, now standard in all Accord sedans with the exception of the base LX. Exceptional crash-test ratings and a full complement of available active safety features put the 2016 Accord on the safety shortlist. The Honda Accord manages some of the best safety scores in the segment and also offers some breakthrough safety items that are uncommon in the class. The NHTSA gave the 2016 Honda Accord an overall five-star rating, with five stars in all tests except a four-star score in the frontal crash. The IIHS gave the Accord top "Good" ratings across the board in its crash tests, and with advanced safety technology it's also rated a Top Safety Pick+. Those two agencies represent some of the toughest tests on the planet. Standard on Touring models and optional on all other trim levels is the Honda Sensing suite of driver assists. It includes a collision mitigation braking system, forward-collision warnings, lane-departure warnings, lane keeping assist, road departure mitigation, and adaptive cruise control. Except on the base LX, Accords include a nifty feature called LaneWatch that greatly enhances lane-changing vision with a live video feed from a camera mounted in the passenger-side mirror. It activates when the driver uses the turn signal. And thanks to the Accord's low beltline and thinner pillars, outward visibility really isn't that bad without all the extras. Thanks to its increased use of high-tensile steel and the smart ACE safety structure, Honda was able to make pillars thinner. LED headlamps are also offered at the top of the lineup, and they're the first ever in a Honda, but daytime running lamps are included in all V-6 and Sport models, and LED brake lights are fitted to all models. All Accord models come with four-wheel disc brakes, including Electronic Brake Distribution and Brake Assist, plus stability control, and hill start assist. And in addition to all the expected airbags, the Accord features a new SmartVent technology for its side airbags that eliminates the need for fussy occupant-position detection systems. Entry-level LX and EX trims have become high-value delights in the 2016 Accord, while top Touring models are more like luxury sedans in look and feel. With its last redesign, Honda began cramming the Accord with value and convenience features. 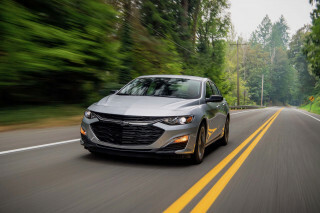 Notably, a number of connectivity and safety-tech features aren't limited to top-spec trim levels—in many cases they're standard or optional across the lineup. With the Honda Accord Sedan offered in LX, Sport, EX, EX-L, and Touring trims, and the Coupe available in LX-S, EX, EX-L, and Touring models, there's still a wide range of equipment. But even in the base LX model you get dual-zone automatic climate control, 16-inch alloy wheels, Bluetooth connectivity, a rearview camera, and an 8.0-inch touchscreen plus Pandora audio streaming and SMS text-messaging capability. New this year is a multi-angle rearview camera and LED taillights. With the Sport model, you get fog lamps, a rear spoiler, a power driver's seat, steering-wheel shift paddles, a dual exhaust, and 19-inch alloys. There are now LED taillights, daytime running lights, and fog lights; side skirt trim; and a 60/40-split folding seat. EX models get a power moonroof, plus the LaneWatch system, keyless ignition, heated side mirrors, and 17-inch alloy wheels, while the EX-L brings on a taste of luxury, with leather upholstery, a memory driver's seat, heated seats, lane-departure warnings and forward-collision warnings, and a HondaLink system featuring Aha streaming entertainment capability in an upgraded 360-watt audio. These models also get a 7.0-inch display audio system, Android Auto, and Apple CarPlay. The Touring ups the ante with standard features like the Honda Sensing suite of driver assists, heated rear seats, rain-sensing wipers, and automatic high beams. EPA ratings and real-world fuel economy are impressive whether you choose the 4-cylinder model or the V-6. The 2016 Honda Accord delivers impressive fuel economy, and that's not just with the base engine. We've observed surprisingly good efficiency with the V-6 in real-world driving conditions. Accord models with a inline-4 have a continuously variable transmission (CVT) and direct injection, and earn an EPA-rated 27 mpg city, 37 highway, 31 combined. The thirstiest model—a V-6 equipped Accord Coupe with a manual transmission—manages 18/28/22 mpg. With the aid of variable cylinder management, the V-6 can return up to 34 mpg. 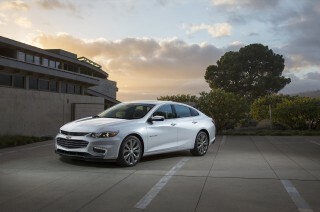 We've noted combined numbers approaching 30 mpg in drives of both four-cylinder and V-6 models. Press the "Econ" button in the Accord and you get a set of fuel-saving measures that include more conservative accessory use (like air conditioning) and softened throttle response. The even more efficient Honda Accord Hybrid won't be offered during the 2016 model year. This vehicle is reliable, secure, and stylish. It's convenient that you can use apps on your phone in your vehicle, most notably, google maps. Best Honda Accord Sedan I Experience!!! This was the best Accord I own 5 Star. The most Reliable car 10 best for 30Years. A very comfortable car. Please to drive and feels safe. Here's the bad: the radio controls are slow and counterintuitive. That's all. I was at a light, next to a bigole chevy truck, with a loud V-8 and pipes coming out of odd places. The road merged into one lane... Here's the bad: the radio controls are slow and counterintuitive. Great looking vehicle that has all the options that my wife wanted and meets here usage needs as a retired grandmotherr of 4 that are all under the age of 10. Bought on 12/30/15 and love it more everyday. Great technology, comfort and feel and great price.